Easily create limitless looks with one palette. Each palette features a primer, 3 highly pigmented shadows, and a sparkle top coat. Use wet for more colour intensity. Add sparkle top coat for a multi-dimensional, intensely shimmering effect. Available in a range of expertly coordinated palettes. Use wet for more colour intensity. Lightly dab the applicator in water before dipping into shadows. Add sparkle top coat for a multi-dimensional, intensely shimmering effect. 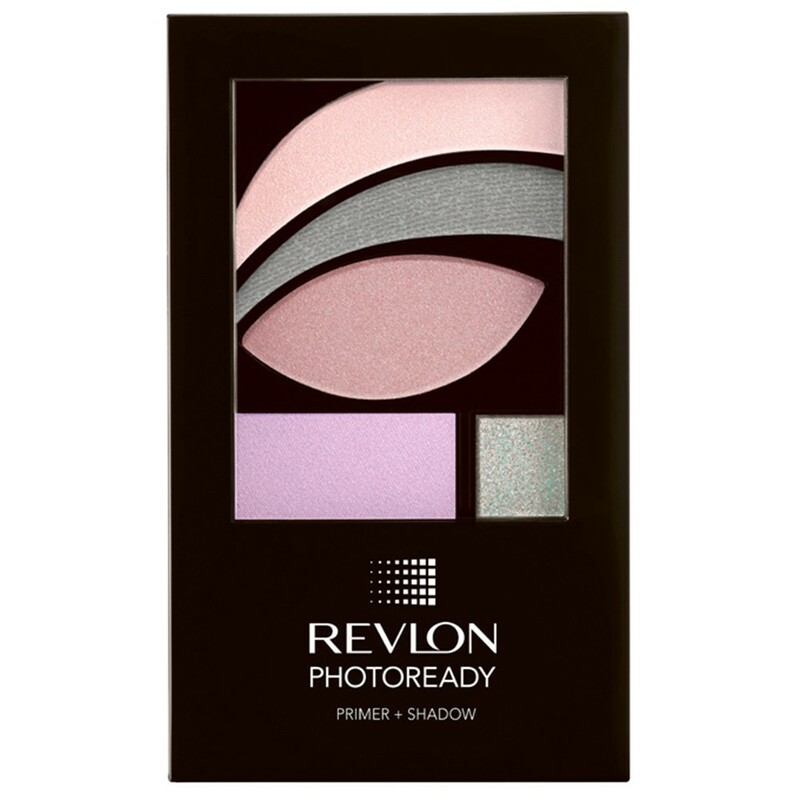 REVLON PHOTOREADY PRIMER + SHADOW - PRIMER CONTAINS: MICA. MICROCRYSTALLINE CELLULOSE. SYNTHETIC FLUORPHLOGOPITE. CAPRYLIC/CAPRIC TRIGLYCERIDE. BIS-DIGLYCERYL POLYACYLADIPATE-2. DIISOSTEARYL MALATE. DIMETHICONE. PHENYL TRIMETHICONE. VP/HEXADECENE COPOLYMER. CALCIUM ALUMINUM BOROSILICATE. CALCIUM SODIUM BOROSILICATE. DIMETHICONE CROSSPOLYMER. TOCOPHERYL ACETATE. SODIUM DEHYDROACETATE. ETHYLHEXYLGLYCERIN. CAPRYLYL GLYCOL. MAY CONTAIN: MICA. TITANTIUM DIOXIDE (CI 77891)*. IRON OXIDES (CI 77491, 77492, 77499). CARMINE (CI 75470). FERRIC FERROCYANIDE (CI 77510). *TITANIUM DIOXIDE IS BOUND. MLI# 22775.
kinda fallout-y but the colour payoff is SO NICE! I LOVE the golds I use them all the time.